There may come a time when your elderly loved ones start showing signs of having diminished capacity. When that happens, you will need to establish a way to help them manage their affairs. Some of the most obvious signs of diminishing capacity include loss of memory and disorientation. If you have noticed these signs it may be time to take action and the first step is to create an incapacity plan. Unfortunately, this type of planning can be difficult for you and your family. Let our Florence elder law attorneys assist you with these difficult issues. In order to create an effective plan, to assist your loved one with their affairs, you have to discuss various issues with them, which can be difficult. 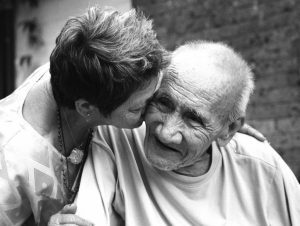 Basically, incapacity means your elderly loved one needs someone else to take care of them, their personal and financial needs and make most of their decisions for them. Before you begin this sensitive conversation, it is a good idea to discuss everything with other family members who want or need to be involved. That way, you can be sure you are all in agreement about which steps need to be taken. It is important that all disagreements are resolved and misunderstandings corrected so that the family can present a united front when approaching your loved one. That does not mean every family member needs to be involved. That is a decision you should make depending on your family dynamic. Our Florence elder law attorneys suggest, that you try your best, to include your loved one in as many decisions as reasonably possible. It will make incapacity planning much simpler if there is a way for them to stay involved. 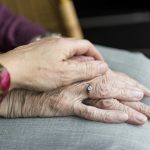 When you discuss the specific elements of the incapacity plan with your Florence elder law attorneys, your loved one should participate as much as possible. It is also a good idea for siblings to be involved in the discussions in order to maintain transparency. This can help your family to avoid disputes later on. One of the greatest challenges, when it comes to incapacity planning, is balancing the need to protect your loved one and allowing them to maintain as much independence as possible. 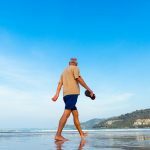 If it is a situation where a formal guardianship must be established by the court, seniors will be very concerned about losing their independence entirely. Since guardianships are usually the last resort, remember that it should not be considered simply because your loved one makes a decision with which you do not agree or solely based on a medical diagnosis. Clients come to us needing assistance, in resolving disagreements between family members, about various aspect of the incapacity plan. Unfortunately, some families are more prone to disagreements in general, but when it comes to incapacity planning for a parent or other loved one, those disputes can hinder the planning process. Not all disputes are easy to resolve, however, if you provide everyone with the necessary information there is a better chance of reaching an agreement. The reality is, some disagreements stem from misunderstandings or miscommunication. If you need help resolving certain disputes, ask our Florence elder law attorneys to help. Elder law attorneys routinely handle the types of issues seniors face. For instance, an elder law attorney can address issues relating to nursing home care, estate planning, and guardianships. Elder law attorneys obtain specific training and experience in handling the relevant legal issues affecting seniors. For this reason, elder law attorneys are better equipped to understand and meet the needs of their elder clients and their families. Join us for a free seminar today! 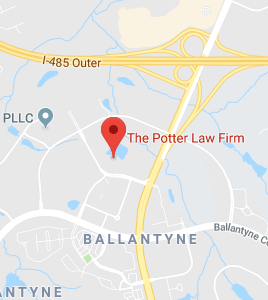 If you have questions regarding incapacity planning or any other elder law matters, please contact the experienced attorneys at The Potter Law Firm for a consultation. You can contact us either online or by calling us at (704) 944-3245 or for individuals in Kentucky at (606) 324-5516 (Ashland, KY) or at (859) 372-6655 (Florence, KY).